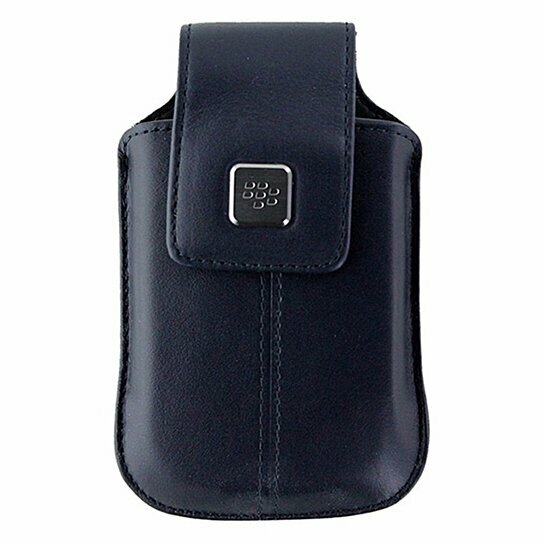 BlackBerry products, Leather Holster with Clip for BlackBerry 8520 and 8900 series. Dark Blue synthetic leather finish. Rotating Belt Clip.